And with one fell swoop, Days of Wonder has me immensely interested in them again. Just when I thought that Days of Wonder was going more and more into a deeper "gamer's type game format"... along comes a surprise. Nothing makes me more delighted than to be proven wrong. Especially with Days of Wonder. And I think this game may do just that. Negotiation! I love it. Plus, this game has a very, very interesting theme. I am so happy it went beyond the tried and true but "limitedly themed" gladiator combat scenario. The premise presented is something that I think male OR females will enjoy and the fact that it gives the inital appearance of not being too deep is something that I think a more broad-based "wine and cheese", "beer and pretzels" audience can get behind. I am looking forward to this one as I really like the theme. It should be well-designed with the excellent production quality for which Days of Wonder is known. Days of Wonder editions are simply amazing ! The Theme has got me interested also, cant wait to check it out. Just when I thought that Days of Wonder was going more and more into a deeper "gamer's type game format"... along comes a surprise. You sure you have the right company? Name one deeper gamer's type game by DoW? I was hoping Colosseum would be a heavier game. I can't because they haven't designed one yet... maybe BattleLore...perhaps? (DISCLAIMER: Please note that I have never played Battlelore.) But I do know DOW had been moving in that direction. This looks to be a step back the other way...without giving the appearance of becoming too simplistic. In fact, I would say far from it. And that is great news in my opinion. There was a great quote on Boardgame News about the description of Colosseum. "It is above all a game for players who like demanding family games but who are not so fond of complex strategic games." From the pictures I have seen (and the description), this looks like a game that can appeal to everyone, has good player interaction and is fun. Yesterday, I asked for pictures (figuratively) and I got them (luck of the draw). All in all? Very affirming. But until we can play the game... for all of us, "it sounds like it will be this_______" is about the best expression we can give to it at this point. My hope is this will be a "boardgame delight" for many... in the same way Ticket to Ride was. Maybe just a touch deeper... but with the promise of high player interaction, that is more than OK. The only way we can know more at this point... is to play. April never looked so far away. I can't because they haven't designed one yet. But I do know DOW had been moving in that direction. That was my point. I don't think they have been moving in that direction. They haven't designed a single game that I would not characterize as light. I was hoping Colosseum would be a heavier game until I saw the same quote you did. From that one image of the game all setup: If the square resource tiles are 1" on a side, then the board is 27"x18". Judging from the relative size of the 1 coin (a littler more than 1/2"), I doubt DoW would make them any smaller than that. It's not quite grasping my attention just yet. I guess I expected something more on par with Cleopatra. Game seems a bit expensive for what is included in it (from what I can see). I'll probably reserve judgement until the rules are posted. But this may be the first DOW game since I discovered them that I will have to take a pass on. After looking at Part II... wow, this really is looking better and better with each new detail that comes out. Will definitely plop down my USD for this one and will look to do a full review. The negotiation elements seems most intriguing to me. I always love the conversation that goes around putting together deals. The best ones are the win/win scenarios. Spring is soon in the air and hope... in the form of printed cardboard from Days of Wonder, beckons a smile to one's face. I have high hopes. I'm still dissecting them after coming home from the office this evening. Overall it seems very, very interesting. Promising. I still see some very limited similarities in minor structure points to the "Shakesphere: The Bard" boardgame. Two different games, however. But this game concept, in terms of mechanics, seems to be much tighter and there is no "trivia" element to it. Which is very nice. The negotiation element seems to play out very well but seems somewhat constrained... which for a game like this, is probably a better fit than a free for all. A lot of cardboard to think about? 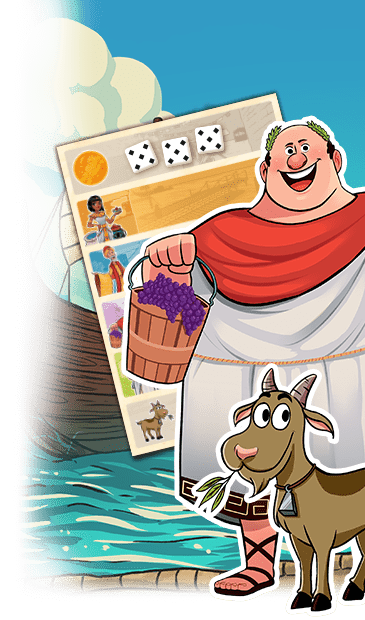 I'll have to re-read the rules a bit and will discuss my thoughts a little more at length on BGN (www.boardgamenews.com)next week. All in all, I think this is a game that will have to be played to find out just how much fun it is. Promising? Interesting? April can't come soon enough for a full sit down with this one. Rules seem prety tight. Only the Auction mechanism seems a bit loose and is the only spot I have questions so far. I think it will be a decent addition to my DOW collection and I will probably pick it up. However, the demand doesn't seem to be as high as BL and even though it must weigh a ton with all the chits it comes with, I still don't see the sense in the $50 pre-order price. I think I will save some money and get it at an online retailer for a discount. Never played the Bard but i like how this game seems tocome together. I am not too fond of auction type games but the trading and donations seem like they will work well. Also, it is interesting that your points from round to round are not cummulative but instead score the maximum event only. The game appears to be structured pretty well. I think it will be good for those who like TTR and CatSoA. Kind of seems like a betweener for those two games. i gave a look to the rules. 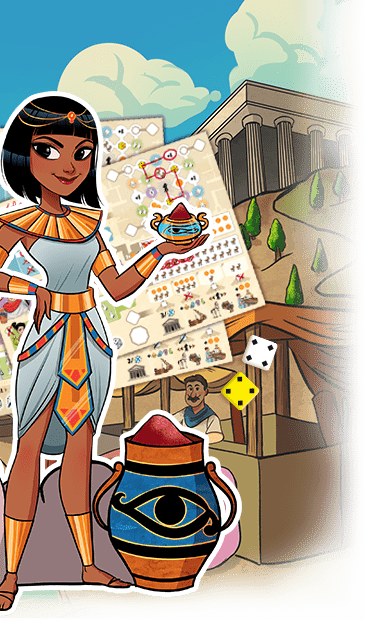 I like it & I like it, i think i'm going to put my preorder, it could be wonderful if the authors could find a variant for a 2 players game, like what happened for Cleopatra. As for the 50$ topic... how i wish here in Italy colosseum has a price like that.. but anyway, we're in a free market world so DoW has the right to ask, we can eventually pass on (demand and supply system ). Sincerly said, it doesn't seem too much above all if u think to the quality of DOW games. Personally, I'm ready to pay in order to have a good product (beautiful design, well written rules and so on), such as Colosseum. Well said Angelo, quality is worth paying for. Updated commentary on next thread. Wow. I looked at my very first comments on this game back in February... and how my thoughts have changed! I did wind up playing this game but in the end I don't have a strong justification for purchasing Colosseum. The game was OK... even good in some aspects. I do think there is a segment of the game community who will enjoy this game. It neither struck me as terrible or great. Originally, I was very big on the theme but has time passed, it seemed more serious, more mundane. There were some things I enjoyed about the mechanics of the game but the negotiation aspects of the game never fully came to fruition. It seems like almost everyone can get all the resources they need to produce their biggest play at the end of the game. So in the end it becomes about the modifiers to the score... too many modifiers to keep the casual game player fully engaged, IMO. Days of Wonder now has too many games out there were the ending is designed to be disguised until the very end. This isn't bad in and of itself. But it is starting to cause a lack of differentiation between their games. Add up the victory points, basically. I love Days of Wonder. But they have lost some of the campiness and theme elements which make their games a delight to play. When I think of Days of Wonder now, I think: Historical, Serious, Euro. There is a decided pattern in their games now... my hope is that they start to change things up a bit. And that they lighten up the themes a bit too! But I'm burning out on it. I'm not enjoying it anymore, as it's too much work now. It isn't like TTR, that I can play two in a row and be up for a third, nor like SoC, that once is enough in an evening, but it fills the evening and all are satified that, indeed, a good game has been played. Nor is it even as charming as CatSoA... nor as tactile nor pretty. Nor, unlike BL, M44, SoC, or TTR/TTRE/TTRM, does it give much promise of adding anything of merit in an expansion. Time to dig out Dune... Or TTRE.